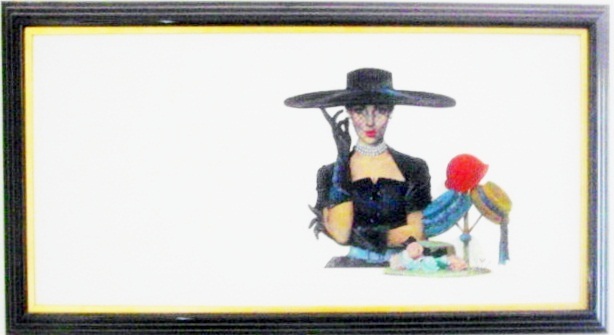 Vintage Roy Besser painting of a young woman wearing “The Perfect Hat”. The image of this beautiful young lady was used more than once by Roy Besser in the Sophisticate ad campaign for Pepsi Cola during the 1950’s. (Currently in a private collection).